The District Council deputies decided it at the March meeting and in June it was legally founded: the SUN:BAR Photovoltaic Barnim GmbH. The project company, a joint venture between the Brandenburg BPG Beteiligungs-und Projekt Management GmbH from Erkner (sister company of SUNfarming GmbH) and the Barnimer Energy Investment Company MBH (BEBG) plans to invest in the Barnim decentralised generation and storage of electricity from renewable energy sources. The first project is already on the verge of implementation: this year, the expansion of the landfill in Eberswalde will start an energy park. Up to 2020, three solar plants with an installed capacity of 750 kWp are to be built on the site of the decommissioned landfill. The completion of the first plant is already planned for autumn 2018. “It is our first joint venture with a municipal company and we are pleased to be able to contribute a part to the implementation of the Barnimer energy turnaround,” says Martin Tauschke, technical managing director of SUN:BAR. 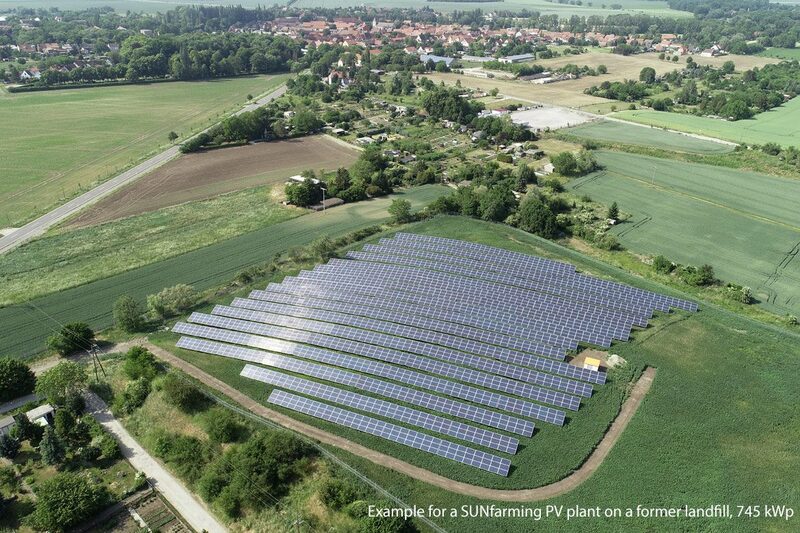 “With the BPG we have found a competent and experienced partner in the solar plant investment planning and plant management to build municipal production plants in the district Barnim. In perspective, our goal is to market the electricity generated here also regionally. The participation of citizens is also within reach. One of the three plants could be conceived as a citizen solar system, we examine “, announces Christian Mehnert, managing director of SUN:BAR.